Hello! - I come from Stockton-on-Tees in the North East of England but have lived all over the place. University in Bristol, Durham and Manchester, followed by teaching in Bath and then a curacy in Crewe, followed by teaching again in West Yorkshire. I came to London in 1995 and was the chaplain of Queen Mary College in the East End and also parish priest of Bethnal Green. In 2001 I became Chaplain of the London School of Economics and remained there for ten years until I became Rector, here at St George’s, in 2010. I hope to help St George’s become a Parish Church for all people; whatever nationality, background, gender, sexuality. ethnicity or age. The gospel is about the whole of humanity and the utter self-giving of God in Jesus Christ to us. St George’s attempts to bring curiosity and fun as well as solemnity and depth to our Christian faith. You would be very welcome indeed to just turn up. Father Rene Jarrett Father Rene Jarrett originated from Sierra Leone and has been in the UK since 1988. 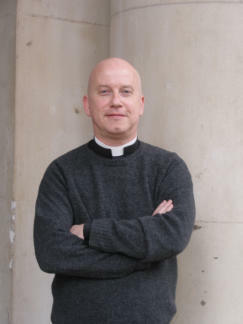 He has been assisting in the Edmonton Diocese and presently is Honorary Assistant Priest at St George's Bloomsbury. 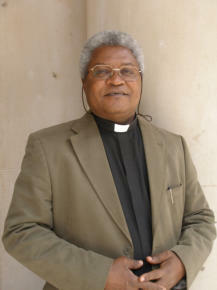 He is also Chaplain to the Sierra Leone community in the UK.